Hi! My name is Gloria Owczarski. This is my story, I hope you like it! I grew up in beautiful Kailua, Hawaii. I have two sisters, one has special needs. Life could be hard growing up with a sibling who was different from the norm. No one else had a sister like mine. People with disabilities didn't seem to exist in the 80's or so it seemed. Instead of embracing my sister, welcoming all of her special qualities, I repelled against it. Why was I being punished with a sister who needed more help with EVERYTHING??? Like most selfish teenagers, I sulked and resented having a sister who was so different from everyone else's siblings. I was mad at God for doing this to me. It would be years later when I finally "grew up" and realized that I had made an awful mistake about my sister. 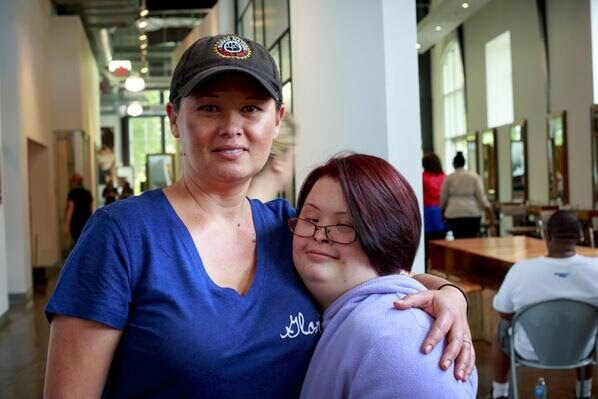 I was the one with "special needs" and I had so much to learn from my amazing sister Kimmy. She would be the one to make me realize that there are so many wonderful things in life to appreciate, like cookies for breakfast! 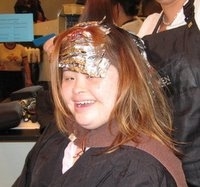 I have started an event called "Day of Beauty" for kids with special needs. We bring in schools of children with disabilities along with their hard working teachers and give them a total day of much needed pampering and love. The kids get to choose from the following free services, donated by many wonderfully talented and kind hearted service technicians from ALL OVER Atlanta: haircuts, haircolor, facial waxing, manicures, makeup applications and chair massages. For most kids, this is their first experience in a "real" salon. I'm hoping to pass on the wonderful revelation that was given to me from my sister Kimmy to the many wonderful volunteers who come to "Day of Beauty". That we all have so much to learn from these special children. That life is a gift so please unwrap it and enjoy it to the fullest! When you think YOUR life is hard/tough, take a moment to think about what these children have to endure day in and day out yet all it takes is a simple act/gesture of kindness from a stranger to make them smile. We all should remember that. "Day of Beauty" 2012 made the CBS New's "Positively Georgia" segment on April 23rd, 2012! Click on the link below! Getting geared up for "Day of Beauty" 2013- 10th Anniversary event on Monday April 29th at The Paul Mitchell School- Atlanta! "Because everyone deserves to feel beautiful!!" Read about it here on the "Hands On Blog"! Day of Beauty did a Story Corp story for The Point's of Light Institute. "Day of Beauty" made it on CBS News! "Day of Beauty" made it in Best Self Magazine April 2012. Read about it here! "Day of Beauty" is on YouTube! This is another GREAT video Lisa Cunningham did of this year's "Day of Beauty" 2012 event for kids with special needs! Thank you Ms. Lisa Cunningham for the above video from last year's event!! Thanks Ms. Denise Hardnett for this great video! Read testimonials from supporters/attendees/volunteers here! I am pleased to announce that the 10th annual "Day of Beauty" will be hosted this year for the 5th time again by The Paul Mitchell School- Atlanta located at The King Plow Arts Center at 887 W. Marietta Street NW Suite A, Atlanta 30318. With a salon floor of about 12,000 square feet, we are looking to do just a little bit more than last year with the amount of participants receiving services this year. Last year we had over 250+ students AND teachers getting complete makeovers. This year we hope to do over 300+ students/teachers total! All participants can choose from the following services: manicures, facial waxing, highlights, haircuts, chair massages, updos and makeovers. All services are free of charge! All services are donated by local talent from various Atlanta salons. Stylists- who can cut & color ethnic and non ethnic hair. I want all my kids who are getting hair services to get a deep cleanse, deep conditioning treatment and a very cool updo/braid style that they can wear for awhile! So definitely need stylists who can work on "natural" hair. You must bring your own: cutting tools, styling tools, cutting cape, color cape, lot's of business cards to hand out to all of your "clients". All backbar & styling products will be donated by The Paul Mitchell School. Makup Artists- very basic makeup application only. (You must bring your own: tools, makeup, lot's of business cards to hand out to all of your "clients"). Massage Therapists- only doing 15-20 minute chair massages. This service has become extremely popular in the last few years. For most attendees, this is their first experience with massage. If you do not have a chair, please let me know and I will arrange for a rental. Kneads Inc (Thanks Ron!) has donated a few rental chairs for the day(need own massage chair). Assistants- I am hoping to have one assistant for every 3-4 stylists to help with: shampoo, color application, finishes. This will help expedite the stylists and make sure they are able to stay on time. We are on a very tight schedule and the kids have to be back on the buses at 12:30. Runners- you will assist the "service technicians" will any of their needs/problems. Help assist teachers with their students etc. Photographers- I love candid shots and would love to have more photographers to be able to catch all of the great moments throughout the day. 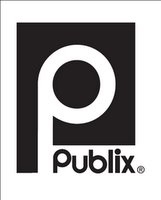 Food Table Management- all food is donated from the various local establishments in the area. All of it cannot fit on the tables all at once. This person(s) will help make sure everything is well stocked, juices/sodas are replenished and just keep an eye on the food and make sure it stays clean and orderly. DJ- I would love to have music again at this years event. Breakfast Items- bagels/cream cheese, muffins, biscuits, jams and jellies. Lunch Items- sandwiches, wraps, hot and cold plates, hot dogs, hamburgers etc. Snack Type Items- chips, salsa's, chip dip, fresh fruit, veggies platters and finger food items. Beverages- liters/cans of soda, powdered drink mixes, juices, coffee & tea. Plastic Cutlery/Paper Goods- silverware, plates, napkins and cups. Decorations- helium balloons, tablecloth covers, streamers etc. Items For Goody Bags- coupons from your business, gift cards, any leftover sample items you no longer need, toys, leftover products from your store you no longer are in need of. These bags are all given to the students ALONG with their hard working teachers to remember their big day by. This also helps them to recognize who in their community supports their special children and their hard working teachers. Door prizes- I thought it would be fun to have door prizes for the volunteers to win. Can you part with a gift certificate from your business? Make up a goody basket that can be given away? Please let me know! With that being said, I would like to say a special "Thank You" to the following contributors who have sponsored my event year after year. D-A-V-E.org - my "official photographer" Hi Dave! Check out some of his work here in these picasa photo albums. Former WWE/TNA wrestler "The Relic" also made an appearance and made quite an impression on some of the kids. Definitely wouldn't want to run into him in a dark alley somewhere, ha! Ruby The Clown For 12 years Reuben Haller has delighted audiences as a clown, musician, and storyteller in Atlanta. For nine years he has performed for The Big Apple Circus at Children's Healthcare of Atlanta hospitals, as part of the prestigious 'Clown Care' program. He has clowned for Cirque du Soleil at two special events, including his role as 'Head Clown' for Cirque at the 4 day Grand Opening of The World of Coke Museum. An accomplished violinist and mandolin player, Reuben also created a solo clown show for The Atlanta Symphony's 'Symphony Celebration' in 2005. Reuben is now in his fourth year performing the acclaimed 'Fiddlin' Dan The Mountain Man' storytelling show at libraries throughout Georgia. He performs at hundreds of events each year. Classical music meets musical mayhem, guaranteed to amaze and amuse! The Clown Virtuoso is a delightful classical music concert for children and adults. Acclaimed Atlanta clown Reuben Haller (Big Apple Circus) is the clown violin soloist, performing with the Atlanta Philharmonic Orchestra conducted by Mirna Ogrizovic-Ciric. Selections include works by Rossini, Schubert, Handel, Shostakovich and more. A HUMONGOUS "Thanks" goes of course to- The Paul Mitchell School Atlanta. With their amazing staff (pictured below) and their awesome students. With their speed in all the behind the scenes set up, their attentiveness to the needs of all participants and their great, positive energy they gave to my event. Thank you for opening your doors to me and my event when you didn't know what to expect. Thank you for taking a humongous leap of faith!! Which one of these people don't look like the others? Can you guess where I am at mixed in with all of the fabulous Paul Mitchell students?? HA! I want to just say "Thank You" to all who have been there in the past and continue to come year after year. I also want to acknowledge those who have put their faith in me and my event by coming this year and showing up to the unexpected. Thank you for believing! We will all be able to come together to touch the lives of so many people! This event is dedicated to my sister (pictured on the right) she is my inspiration. I love you Kimmy! donate, please call or email! Thanks so much for your help! Read the Bluebird Patch blog's here! Watch another great video by Jaime's blog! 2006 A.A.D.D. Vital Service Award Recipient for "Day of Beauty"
Photos of D.o.B. 2007 here. Photos of D.o.B 2008 here. 11 Alive press release Watch it here. Dekalb Counties Board of Education ""Recognition Award" 2008". Photo's of D.o.B. 2010 from Linda Hornik Photography here. Bob Moffa's M3 Photography photos of D.o.B. 2010 here. Photos by Ingrid Willis D.o.B. 2010 here. jaimes "motherhood makes a woman out of you" blog on D.o.B. Slideshow by Ingrid Willis D.o.B. 2010 below. Want to read testimonials from supporters of "Day of Beauty"? Click here! "Day of Beauty" 2010 was on CBS News!